A 64-year-old junior ROTC leader at Seneca High School in Tabernacle, New Jersey was recently charged with cyber harassment for sending inappropriate messages to a female student. The JROTC leader, who worked at the school for less than 6 months, is no longer allowed on school property. Charges for cyber harassment are very serious in New Jersey and may lead to severe penalties for those convicted. If you or a loved one has been charged with cyber harassment in Burlington County or elsewhere in New Jersey, here’s what you need to know. You can also contact our law firm anytime at 609-832-3202 for a free consultation with an experienced criminal defense lawyer. What is cyber harassment under New Jersey law? Since January 2014, cyber harassment has been a separate and distinct crime from harassment under New Jersey law (NJSA 2C:33-4.1). It is usually a fourth degree indictable offense, comparable to a felony in other states, and carries with it the right of the accused to a grand jury indictment and a trial by jury. However, if certain aggravating factors exist, cyber harassment can be charged as a third degree crime. A person is guilty of third degree cyber harassment if—with the intent to harass—they threaten another person physically or threaten another person’s property through online communic ation, including the use of social media. Cyber harassment also includes trying to cause another person emotional harm by sending them obscene materials online or using the internet or social media to threaten to commit a crime against another person. Keep in mind that cyber harassment does not only include direct messages to an alleged victim, but it can also take the form of social media posts or comments. Some social media apps, like Snapchat, are known for deleting content within a short time frame, but evidence of cyber harassment—even on these types of apps—can be preserved in many ways. If an individual commits the actions described above and they are 21 years of age or older and impersonate a minor while committing the cyber harassment, they can be charged with third degree cyber harassment. What are the penalties for cyber harassment in New Jersey? Fourth degree cyber harassment is punishable by a term of imprisonment of up to 18 months and a fine of up to $10,000. An individual charged with third degree cyber harassment—where certain aggravating factors exist—faces a term of imprisonment of 3 to 5 years and a fine of up to $15,000. If the individual who committed the acts of cyber harassment is a minor under 16 years of age, then the court may order them to complete a class to reduce their tendency to commit cyber harassment and increase their awareness of the harm caused by cyber harassment. I was charged with cyber harassment in New Jersey. What should I do? If you are charged with cyber harassment in New Jersey, you have the right to inform law enforcement that you do not wish to answer their questions without a lawyer present. In order to obtain a conviction for cyber harassment, there are certain elements of the crime that the prosecutor must prove beyond a reasonable doubt. Any statements that you make to law enforcement could be used by the prosecutor as evidence against you in court. 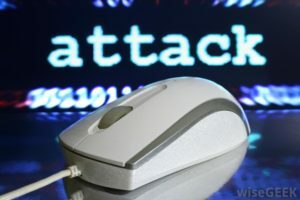 For more information about cyber harassment charges in NJ. Contact our firm today at 609-832-3202. One of our experienced criminal lawyers will review your case and determine what defenses you may have available to you. We have several convenient office locations to serve clients in Mount Holly, Bordentown, Cinnaminson, Evesham Township, Mount Laurel, Burlington, Gloucester, and Camden, NJ.